ZHOUSHAN, China/SINGAPORE (Reuters) - China's port city of Zhoushan is planning to challenge Singapore's dominance of the multi-billion dollar shipping fuel industry, relying on proximity to some of the world's biggest ports and Beijing's support to give it an edge. Zhang Haichao, chairman and general manager of Sinopec Corp <600028.SS> unit Sinopec Sales Co, said at an industry event in October that by 2030 Zhoushan's bunkering volumes will have risen to 30 million tonnes a year, in keeping with targets set by port authorities. 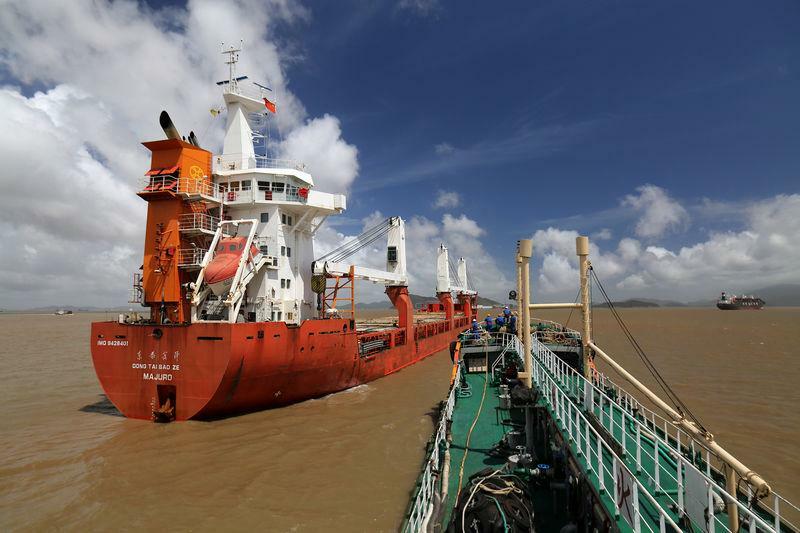 Zhoushan plans to take advantage of marine fuel regulations that will cap sulphur content in shipping fuel at 0.5 percent from 2020, down from 3.5 percent. While Singapore has three major refineries - owned by Royal Dutch Shell (RDSa.AS), Exxon Mobil (XOM.N) and the joint-venture Singapore Refining Company - they are geared for high-value product exports and not marine fuels. Under the IMO rules, Singapore will have to import these fuels, including from producers in China and the Middle East, inflating costs. Top global independent oil merchant Vitol [VITOLV.UL] has also set up a trade office in Zhoushan for bunkers and other oil products in a joint operation with Zhejiang Seaport Group, said Zhoushan government officials and industry sources.